As we all are aware a 7.8 earthquake struck Nepal on April 25th, just a few long days ago. We are relieved to know that Khenpo Rinpoche, his nuns, and their families are safe, but terribly sadden by the great loss of life and suffering that has resulted for so many. We know so many people in Nepal have lost their lives or those of their loved ones and friends. Thousands more have lost their homes, are hurt or sick. It really is a shocking time. Although it is hard to get news right now, we will try to post what we do know and keep this updated as we hear more. None of the nuns or their families have died, but many of the nuns’ family members are injured, some are in hospital. Many of them have lost their homes and everything. We’re still trying to find out more about that and how we can help. During the first days, there were numerous aftershocks and the nuns were staying outside, day and night. Rinpoche has been staying mostly in the downstairs dining room, only going out into the courtyard during the aftershocks. It’s very hot in the sun during the day. As soon as the ban on going indoors is lifted, which may even be today, Tsepak Dorje (general secretary) will be able to inspect the buildings and give us a report on the structural and superficial damage. The report from the Yolmo retreat facility is that the nun’s retreat house and shrine room are destroyed, and the recently built retreat house for Rinpoche’s international students will need repairs. We still don’t know about Rinpoche’s retreat house there. The immediate concern is that people are safe and have food, water, and shelter. Then there will be many steps to be taken to normalize life, assess needs, and rebuild. All of this will take lots of time, energy, and financial support. This is a huge tragedy for the people of Nepal, and we all wish to help in any way we can. One way is to make donations through humanitarian organizations in our own countries. For those who would like to contribute specifically to the Tek Chok Ling community, Marpa Foundation has set up the Tek Chok Ling Earthquake Relief Fund. 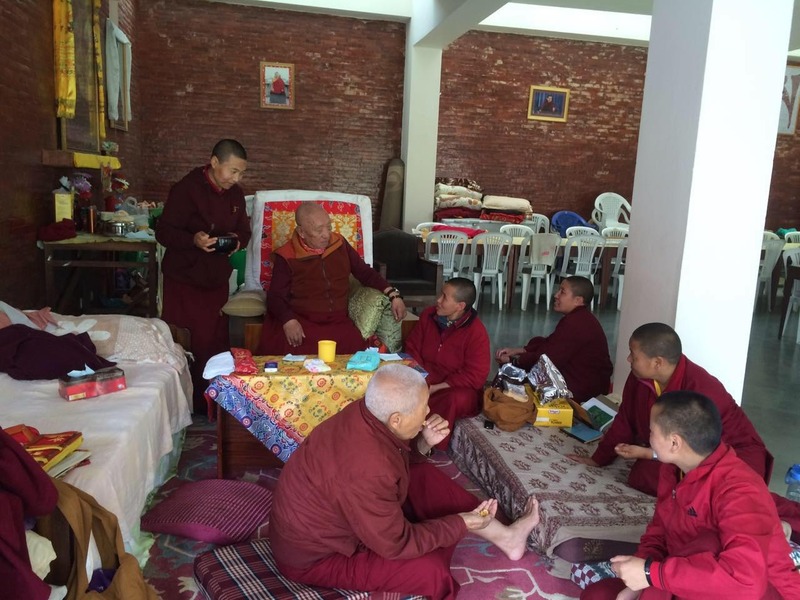 All donations will be sent to Tek Chok Ling to help the nunnery and its community repair, rebuild, and rejuvenate. All donations, large and small, will be deeply appreciated. Marpa Institute Poland and the new center in Warsaw, Karma Dechen Choling, have created MahaKaruna for Nepal, with aid to Tek Chok Ling Nunnery being its first priority. Please contact dorota@marpa.pl for how you can donate. Please keep the people of Nepal in your hearts. May all be embraced by bodhichitta. May our collective aspiration prayers contribute to the lifting of their suffering and the spreading of unbiased compassion and insight. And bestow upon us common and supreme siddhis.